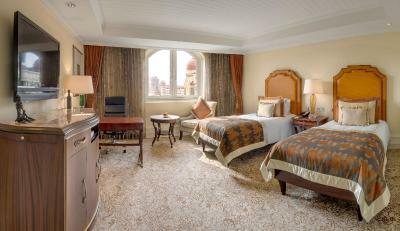 Lock in a great price for The Taj Mahal Palace, Mumbai – rated 9.4 by recent guests! 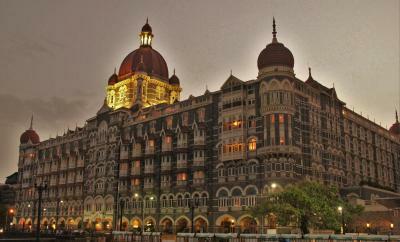 I loved the sense of history the Taj Mumbai represents. It is a glamorous place with courteous staff. Everything. There is magic in this hotel. From the facilities to the staff, everything was brilliant. An unforgettable experience. I like the hotel in general. 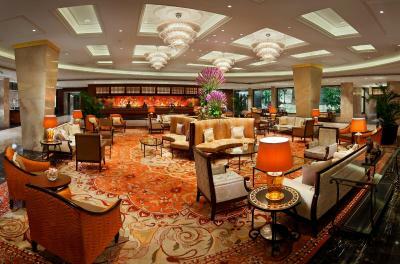 the ambiance , the palace rooms, the restaurants , the spa and the location as well. 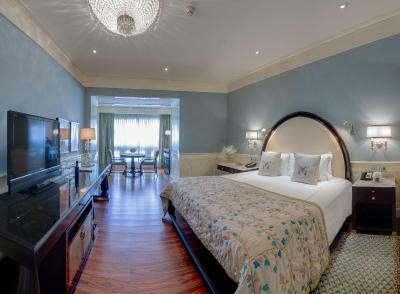 The Taj Mahal Palace has a truly excellent location, just in the center of the Colaba downtown area at the waterfront next to the Gateway of India. This heritage type hotel and its grounds are gorgeous and beautiful. 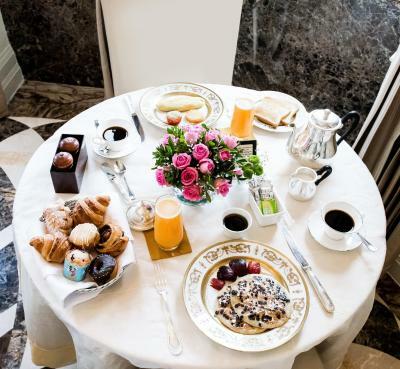 The breakfast buffet is lavish and there are several great restaurants on site. 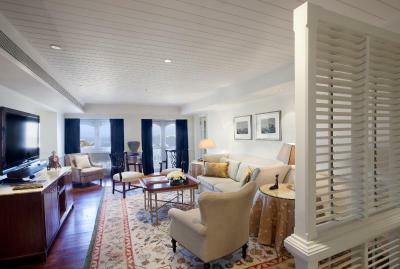 The rooms are wonderful and very nicely appointed with all amenities. Internet is fast and very reliable. The hotel employees go out of their way to make the guests feel comfortable and welcome. Superb location. Staff were delightfully helpful. Breakfasts were divine. The Taj exceeds its wonderful reputation! The chef specially made meals for us (twice!) to ensure we were happy and full. I felt I was back in time to a place where kindness and quality prevail. Beautiful, historic & impeccable service. The location is outstanding. 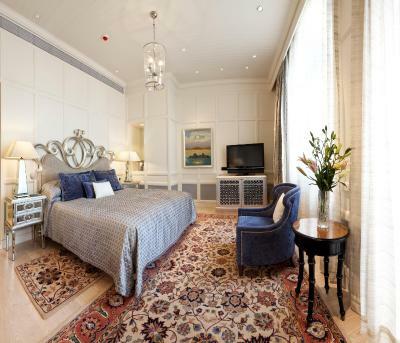 The Taj Mahal Palace, Mumbai This rating is a reflection of how the property compares to the industry standard when it comes to price, facilities and services available. It's based on a self-evaluation by the property. Use this rating to help choose your stay! 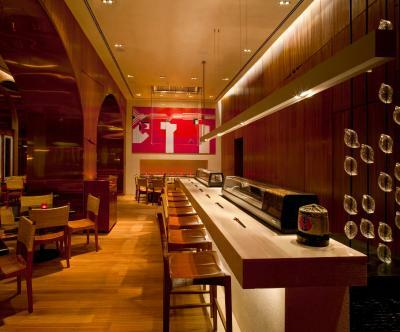 One of our top picks in Mumbai – and a guest favorite. 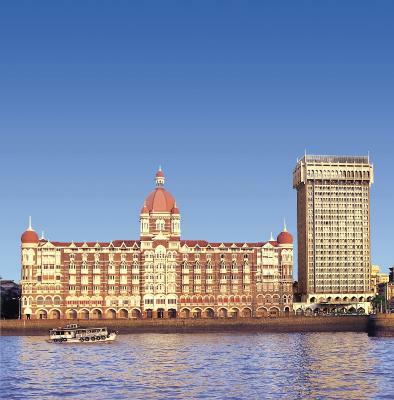 Built in 1903, the iconic Taj Mahal Palace stands majestically opposite the Gateway of India, overlooking the Arabian Sea. Sprawled over 2.6 acres, this luxurious hotel features 10 restaurants and a variety of traditional Indian therapies at Jiva Spa. 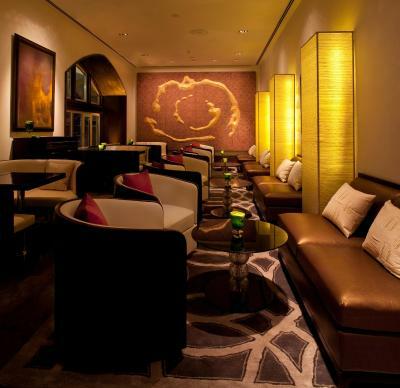 Guests are spoiled for choice in dining options – the famous Wasabi by Morimoto offers innovative Japanese cuisine, while other culinary highlights include the Golden Dragon Chinese Restaurant and the poolside Aquarius Lounge. 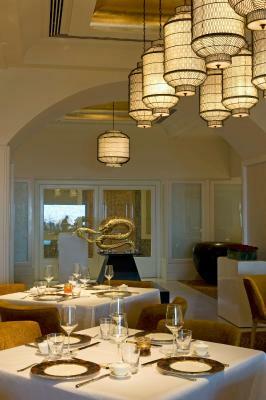 An exclusive private dining experience can be arranged at Chef’s Studio. 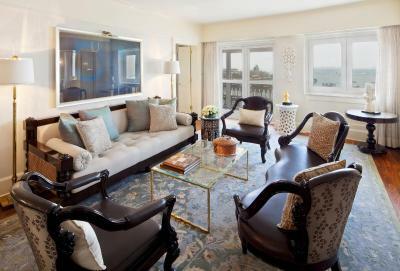 Stylishly designed with Indian-inspired decor and architecture, the rooms offer amazing sea, city or pool views. 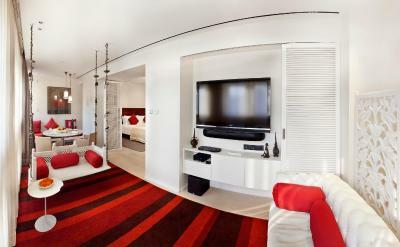 Each room comes with a 32-inch flat-screen TV, a well-stocked mini-bar, free WiFi and a luxurious bathroom. 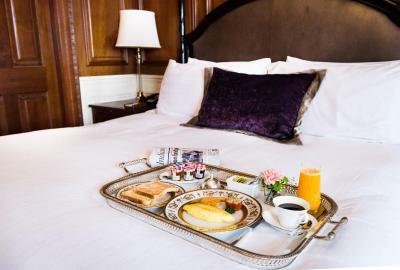 Guests receive 24-hour butler service. Yacht service is available at an additional charge. You can pamper yourself with an indulgent treatment at the Taj Salon, take a dip in the landscaped pool or treat yourself to some luxury shopping at Dior, Louis Vuitton or Stephano Ricci. 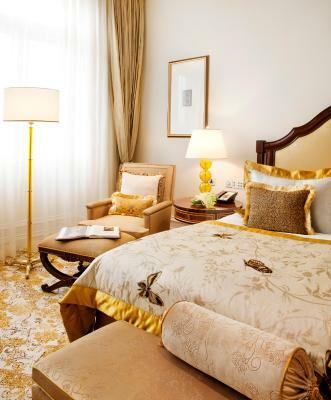 Ranging from dinner reservations to personal assistance for sightseeing, The Taj Mahal Palace, Mumbai also offers a royal historical hotel tour of the Palace wing. 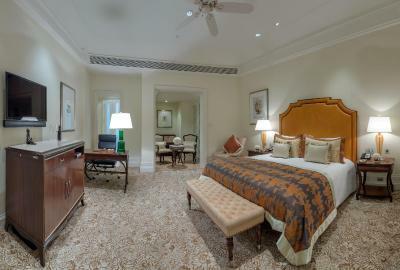 The property is located in the popular Colaba area and is just a 10-minute walk from the National Gallery of Modern Art. Mumbai International Airport is 16 mi away. 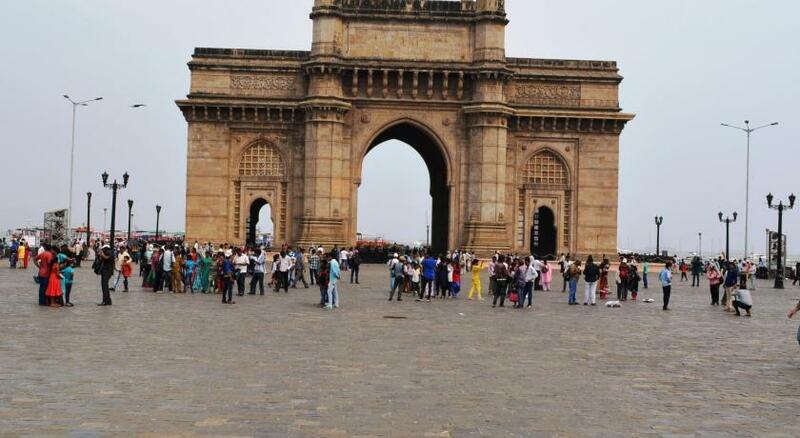 Colaba is a great choice for travelers interested in history, architecture and culture. 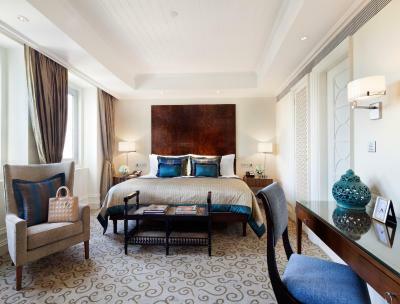 When would you like to stay at The Taj Mahal Palace, Mumbai? 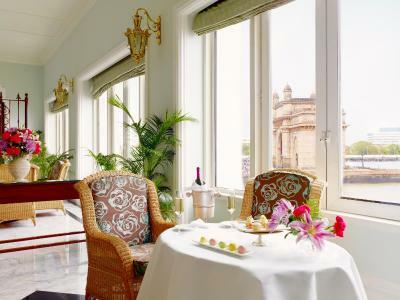 Exuding an aura of the old-world charm and elegance, these rooms are adorned with delicate Rajput bay-windows offering views of pool or city. 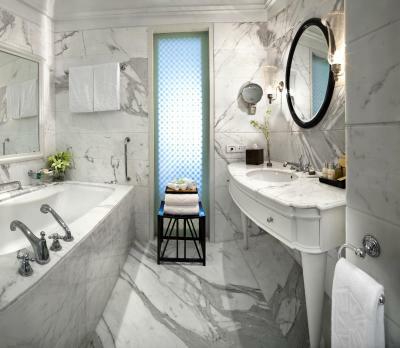 Certain rooms feature a bathtub. 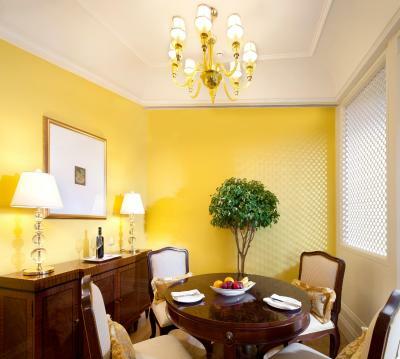 These rooms provide butler service. 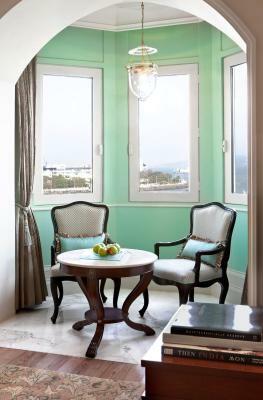 Exuding an aura of the old-world charm and elegance, these rooms are adorned with delicate Rajput bay-windows offering views of the sea. Certain rooms feature a bathtub. This double room has a sofa, electric kettle and cable TV. Certain rooms feature a bathtub. 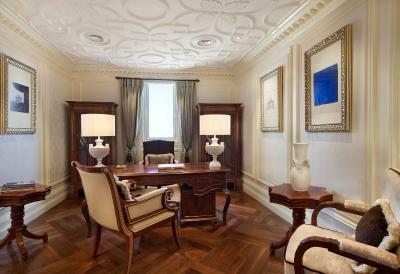 This suite has a electric kettle, Palace lounge access and mini-bar. Certain rooms feature a bathtub. This suite has a electric kettle, bathrobe, and mini-bar. Certain rooms feature a bathtub. 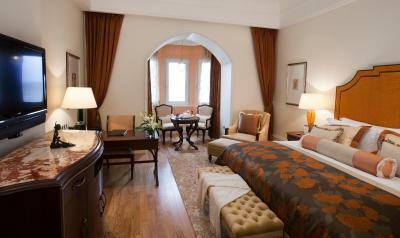 These cozy rooms located in the historic Palace Wing are the gateway to a memorable experience. 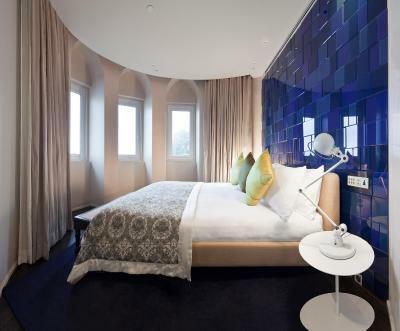 These windowless rooms offer you complete tranquility. 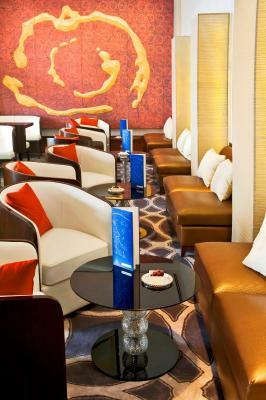 Designed for our jet-setting business travelers. 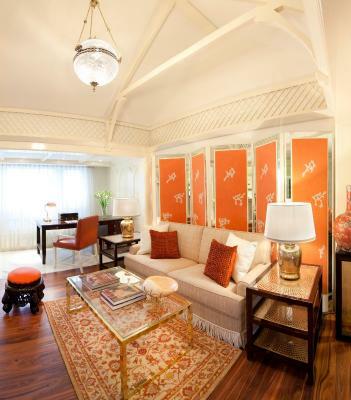 House Rules The Taj Mahal Palace, Mumbai takes special requests – add in the next step! 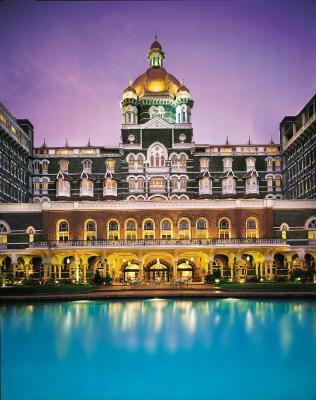 The Taj Mahal Palace, Mumbai accepts these cards and reserves the right to temporarily hold an amount prior to arrival. Please note that for security purpose all Indian guests are required to present a valid photo ID proof (Voter's ID, Driving License, Aadhar Card, any other ID with address approved by the Government of India. A Pan Card is not acceptable). All international guests are required to present a valid passport and visa. For Indian guests, cash settlements of INR 25000 and above will require a pan card copy during check out. Early Departure Fees: Please note that the guests have to confirm the check-out date at the time of check-in. The guest can modify the check-out date and will be charged a 100% retention for the change. If the same is not done at check-in, early departure fees will be applicable. Not applicable for nonrefundable rates. 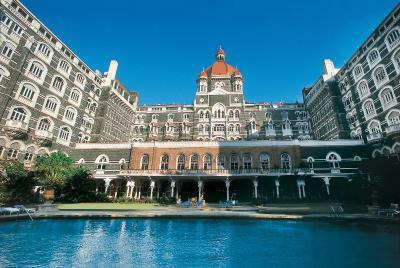 Please inform The Taj Mahal Palace, Mumbai of your expected arrival time in advance. You can use the Special Requests box when booking, or contact the property directly using the contact details in your confirmation. 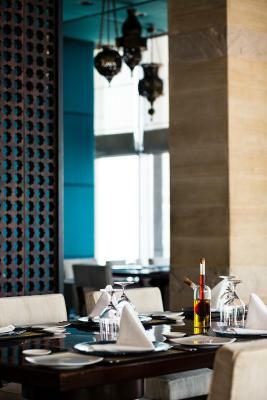 The service, efficiency and friendliness of the staff were second to none. Upgraded to a room that was outstanding. Topped off with high tea and cocktails in the Palace Lounge and an impressive, comprehensive breakfast we could not have been more spoilt. The history of the building and it's architecture is very significant to the ambiance and style that is the Taj Mahal Palace. rooms a bit noisy if sea facing as the road below is quite close and lots and lots of hooting. room windows need to be soundproof. otherwise flawless. our room was upgraded compliments of the hotel. was a very welcoming surprise.....thank you hotel management. staff were 150% dedicated to service delivery from start to end.......exemplary and commendable. that's what separates a good hotel from an excellent 5 star hotel facilities, room and restaurants top notch with great attention to detail. 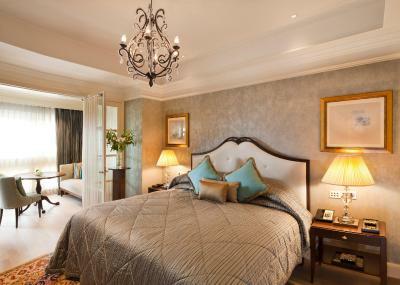 One of the most beautiful and luxurious hotels we have ever stayed in. From check in to check out we were so well looked after. The hotel has so much character and smells divine with fresh flowers everywhere. The food service everything was excellent. We hope to return one day. Most memorable moments, awesome experience.